Thomas has been a leader in the field of socially-responsible investing since starting at Dean Witter in 1983. In 1987, he founded Progressive Asset Management (PAM), a firm dedicated to socially responsible investing. At PAM, Van Dyck created the firm’s shareholder advocacy program. Joining Piper Jaffray in 1997, he developed an investment management consulting team, now called the SRI Wealth Management Group, which moved to RBC Wealth Management in 2006. 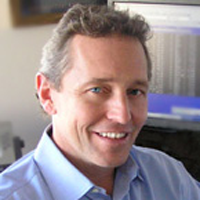 Van Dyck has authored numerous articles and studies on the economics of socially responsible investing. He has been actively involved in cleantech investing and was instrumental in developing Piper Jaffray’s Cleantech Ventures private equity fund of funds strategy. Throughout his career, he has worked to encourage major pension funds like CalPERS and CalSTRS to consider issues such as divestment from South Africa and environmental investment strategies. Are you going to talk about sustainable investing? Inquiring minds want to know!